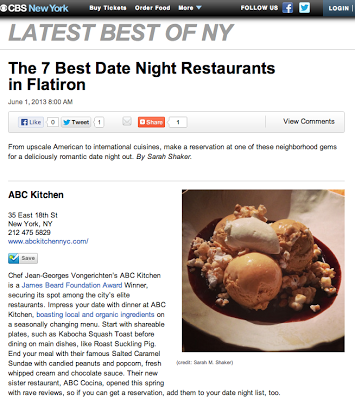 From upscale American to international cuisines, make a reservation at one of these neighborhood gems for a deliciously romantic date night out in Flatiron. Check out CBS New York for my article on The 7 Best Date Night Restaurants in Flatiron. And yes, I recommend the Salted Caramel Sundae with candied peanuts and popcorn, fresh whipped cream and chocolate sauce at ABC Kitchen.